Vancouver-based Comstock Metals (TSXV:CSL, OTC:CMMMF) is a diversified mineral exploration company advancing two resource-stage gold projects and an early stage cobalt exploration project in the Historic Greater Cobalt Mining Camp of Northern Ontario. The company is also invested in a joint venture partnership with E3 Metals, a petro-lithium company developing lithium extraction technology. Comstock has assembled a first-class management, board and advisory group that includes professionals with decades of experience in global mineral exploration, mine development, capital markets and public company administration. Leadership collectively have decades of experience in successful exploration and development of mineral projects and adding value to public companies. The Yukon White Gold district has recently seen a prolific amount of new investment and activity during the past 10 years. In addition to the next-door presence of White Gold Corp. (owned 19.9% by Agnico Eagle and 19.9% by Kinross) located immediately next door to Comstock’s QV project, the White Gold district also includes Goldcorp’s Coffee Project (4.1 million oz. Au acquired for $520 million a few years ago) as well as Western Copper (Casino Project) (8.9 million oz. Au & 4.5 B lb. Cu). The slide below was taken from White Gold Corp.’s June 2018 corporate presentation from its website White Gold Corp. Home Page showing the location of Comstock’s QV project in close proximity to the other projects in the White Gold district in the Yukon. In addition, in September 2017 the Canadian federal and Yukon governments announced a joint $360 million infrastructure program to build road, bridges, culverts and stream crossings in the White Gold district which should make the entire district more accessible to future development for precious metal exploration as well as any future mining operations. See slide below taken from the June 2018 White Gold Corp. corporate presentation. On July 8, 2014, the Company announced a National Instrument (“NI”) 43-101 compliant Inferred Mineral Resource of 230,000 ounces of gold (4.4 million tonnes at a grade of 1.65 g/t Au at a 0.5 g/t Au cut-off grade (COG)), at the VG zone, on its QV Project, White Gold District, Yukon Territory. 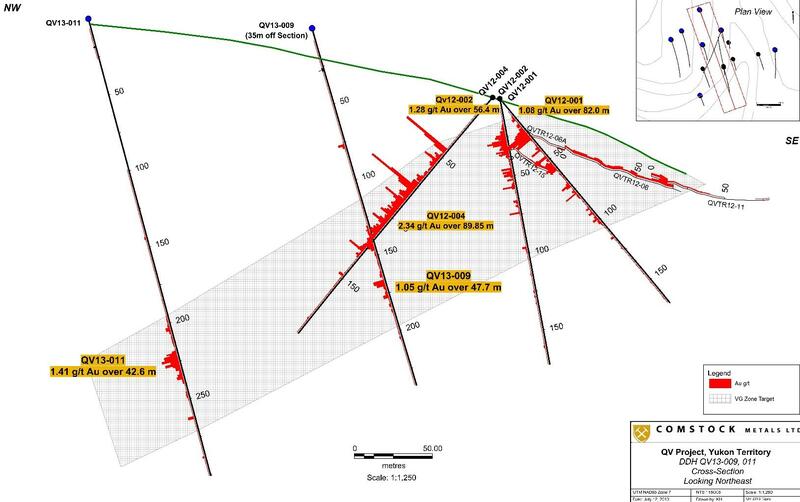 The VG Zone remains open along strike and down dip and other targets exist on the QV Project with potential for intrusion-related or orogenic gold mineralization. The Technical Report (NI 43-101) was posted on SEDAR on August 21, 2014 and is available there and on the Company’s website for review. Comstock optioned the original QV property in 2010 from Shawn Ryan, a Yukon-based prospector responsible for the initial identification of two of the prominent gold discoveries in the White Gold District, White Gold Corp.’s +1.0 million ounce Golden Saddle deposit on its White Gold project ,10 km to the south, and Goldcorp Inc.’s +5.0 million ounce Coffee project 40 km to the south. The Company earned a 100% interest in the property in 2014 by making staged cash and share payments and completing. Geology similar to Golden Saddle deposit owned by White Gold Corp.
Comstock carried out a diamond drilling program for a total of 904.4 m of HQ drill core in 6 holes were drilled on the western flank of the VG gold deposit. On July 12, 2016, the Company announced it had commenced a surface exploration program on the QV project. The program was completed in early August and comprised 5.46 line km of IP/resistivity surveying at the VG, Shadow (12 km northwest of VG) and Stewart (5 km northeast of VG) targets, 359 GT Probe samples along 11 lines at the VG, Shadow and Stewart and a total of 451 soil samples collected at Shadow and Stewart. Results of these surveys were instrumental in refining drilling targets for the subsequent RAB drilling program. The size of the QV project was also increased by staking an additional 31 quartz claims to partially fill an internal gap within the property. On August 30, 2016, the Company announced it had commenced a 2,500 m rotary air blast (RAB) drilling program at QV with an average planned hole depth in the 100 m to 150 m range. The RAB drill program was designed to inexpensively and rapidly screen numerous prospective targets within the QV Property for subsequent follow-up with a diamond drill program. By completing this form, you are giving consent to receive communication from Comstock Metals using the contact information you provide. And remember you can unsubscribe at any time. Comstock holds 100 percent interest in the road-accessible Preview SW gold project which covers 843 hectares and is located 40 kilometers north of La Ronge, Saskatchewan and 80 kilometers southwest of Claude Resources’ Seabee gold mine. The deposit contains several sub-parallel and northeast-trending gold-bearing quartz-sulphide mineralized structural zones which cover approximately 550 meters in strike length and total 150 meters in width. The main Preview SW deposit is comprised of several sub-parallel northeast-trending gold-bearing quartz-sulphide mineralized structural zones, 500 m in strike length and totaling 150 m in width. Preliminary metallurgical test work indicates total gold recovery in concentrates ranged from 90% to 93%¹. ¹ The Company has filed on SEDAR the 43-101 Technical Report, Preview SW Gold Project, La Ronge, Saskatchewan, prepared for Comstock Metals Ltd. by Ronald G. Simpson, P.Geo., Geosim Services Inc. Effective date September 27, 2016. In early April, 2018 Comstock entered into an option agreement whereby it can acquire a 100% interest in five mining claims located in the Gowganda area of the historic Greater Cobalt Mining Camp of northern Ontario, comprising the Rawhide cobalt-silver property (the “Rawhide Property”) Mines in the Greater Cobalt Mining Camp produced over 550 million ounces of silver and over 25 million pounds of cobalt in the 1900s1; the area is currently undergoing an exploration renaissance with increased market interest in cobalt metal as it is one of the most prospective areas for cobalt-silver deposits in North America. This option of the Rawhide Property is Comstock’s first step in diversifying its mineral property portfolio, which currently includes two resource-stage Canadian gold projects, to include properties focused on battery metals such as cobalt and lithium. The Rawhide Property consists of five mining claims comprising 42 claim units (662 ha) and is located immediately north-east of Castle Silver-Cobalt project of Canada Cobalt Works² (Map 1). It is road accessible and has excellent access to infrastructure. The Rawhide Property covers a number of documented historical mineral occurrences. Agreement includes cash and share payments and work commitment over 2 years. Comstock recently began exploring its cobalt-silver Rawhide Project by engaging APEX Geoscience Ltd. (APEX) to run and manage the exploration program. On June 26, 2018 APEX sent a 4-person team to perform ground work on the Property, including geochemical soil and magnetic geophysical survey. Comstock plans to complete an exploration program, comprising the collection of surface rock grab, and grid humus soil geochemical samples; in addition to the completion of an approximately 100 line-km ground magnetic geophysical survey. 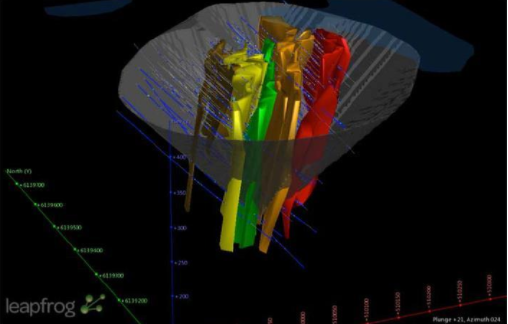 Lines for geochemical and geophysical surveys will be spaced at 100 metre (m) intervals, with select detailed 50 or 25 m line spacing infill over known cobalt-silver mineral occurrences. 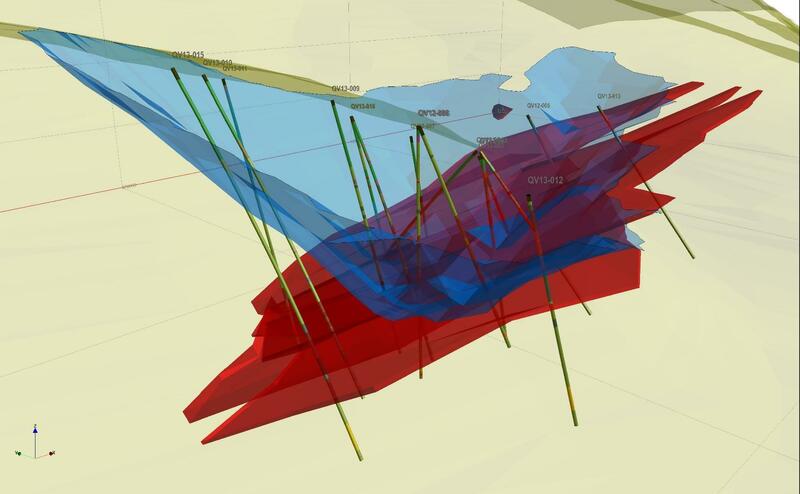 Surface prospecting and rock sampling will focus on locating and evaluating the reported historic mineral occurrences and establishing to the extent possible their continuity and controls on mineralization. Results from the initial exploration program saw five samples that returned greater than 0.10 percent cobalt and up to 0.78 percent cobalt. From a quartz-calcite vein west of Bloom Lake. Rock sampling at the Rawhide shaft, meanwhile, showed values of 0.12 percent cobalt and 0.27 percent cobalt, 650 meters northeast of the McRae shaft. The results also showed significant copper and silver values. Seven rock grab samples showed values greater than one percent copper, and up to 3.85 percent copper. In addition, eight samples returned greater than 10 g/t silver and up to 155 g/t silver. In August 2018, as part of a diversification strategy that gives Comstock Metals access to the battery metals space, Comstock announced that it had entered into a joint venture agreement with Calgary, Alberta based E3 Metals Corp. (TSXV:ETMC). Under the joint venture, the companies will acquire and develop prospective assets in the battery metal space. E3 Metals is a petro-lithium company rapidly advancing the development of direct recovery lithium brine projects in the Leduc Reservoir in Alberta, where it holds Metallic and Industrial Minerals (MIM) permits on approximately 1.3 million acres in the Leduc Reservoir. E3 Metals has released information on three 43-101 Technical Reports totalling a resource of 6.7 million tons of Lithium Carbonate equivalent (inferred) taken from a portion of the 1.3 million acres. The full 43-1010 Technical Reports have been filed by E3 Metals on www.sedar.com. Comstock believes that E3 Metals has a compelling competitive advantage by having access to extensive infrastructure built by the Oil and Gas industry in Alberta. Not only has this provided E3 Metals with low finding costs, as it has been able to sample existing wells to define its resource, this infrastructure may also provide wells and pipelines for a future lithium production operation, potentially reducing E3 Metals’ future capital requirements. E3 Metals’ goal is to develop a commercially viable lithium extraction and production process and to demonstrate the economic viable of commercial production of its Alberta Petro-Lithium brine resource. The company’s project plans are to allow it the flexibility to produce either lithium hydroxide or lithium carbonate. Since the establishment of the joint venture agreement, E3 Metals has announced the development of its pilot plant, in which it will deploy its proprietary concentration technology for lithium extraction. Under the project plan, the lithium production process flow sheet includes: pumping the lithium-enriched brine from the Leduc reservoir to the surface; creating a higher-grade lithium concentrate that utilizes E3 Metals’ proprietary ion-exchange process; and generating the final lithium product (either lithium hydroxide or lithium carbonate) by further purification, electrolysis and crystallization. The current spot price for lithium hydroxide and lithium carbonate are approximately U.S. $18,000 and U.S. $14,000 per ton respectively. Under the joint venture agreement entered into between E3 Metals and Comstock, Comstock’s President and CEO Steven Goldman joined E3 Metals as an advisor. In August, Comstock acquired 1 million common shares and 1 million warrants of E3 Metals which represents approximately 4.5% equity ownership of E3 Metals (excluding Comstock’s 1 million warrants in E3 Metals which have not yet been exercised). Comstock believes that E3 Metals’ share price is grossly undervalued and that E3 Metals’ potential and value as a company have not yet been recognized. Assuming that E3 Metals can demonstrate the commercial viability of its extraction technology (which has been demonstrated at the laboratory level), Comstock believes that its investment in E3 Metals will show very significant returns. Steven H. Goldman was appointed as the Interim CEO and President of Comstock Metals Ltd. on May 15, 2018 for a one-year term. Steven is a senior partner in the Toronto litigation law firm of Goldman Hine LLP (www.goldmanhine.com) and has provided strategic advice to both private and publicly owned businesses facing major litigation and restructuring issues. Steven is currently listed in the Canadian Legal Lexpert Directory as a leading litigation practitioner in franchising law in the Greater Toronto Area, and has been listed previously in the Best Lawyers in Canada. From December 21, 2007 until December 31, 2009, Steven was the President and CEO of both Speedy Corporation and Minute Corporation and successfully led the restructuring and turnaround of both the Speedy Auto Service and Minute Muffler franchise systems (with approximately 160 total retail stores located across Canada). Steven is currently a director and member of the audit committee of Select Sands Corp. (SNS.V). He has also held director positions in other public and private companies. Steven graduated from Carleton University in 1976 (B.A., President’s Medal) and from Queen’s University law school in 1980 (J.D.). He was called to the Bar in Ontario in 1982 and remains a member in good standing in the Law Society of Upper Canada. Darren Urquhart is a Chartered Accountant with more than 10 years of experience working in both public practice and industry. Mr. Urquhart is presently engaged in public practice accounting offering CFO and accounting services to TSX Venture Exchange listed exploration companies in the Vancouver area. Mr. Urquhart began his career working as an audit accountant with Grant Thornton LLP, then later worked as a senior tax accountant with Lohn Caulder Chartered Accountants and more recently served as a consultant to an international private equity company. Mr. Urquhart obtained his Chartered Accountant designation in 2001 and is a member of the Institute of Chartered Accountants of British Columbia. In 1995, Mr. Urquhart obtained his B.A.Sc. (Electrical Engineering) from the University of British Columbia. Rasool Mohammad has worked in mining and mineral exploration industry throughout the Americas. He graduated from the NWFP University of Engineering and Technology, Peshawar, Pakistan in 1991 with a B.Sc. (Mining Engineering). He has over 20 years of work experience in the mining and mineral exploration industry. He speaks English, Spanish, Urdu and Pashto. Mr. Mohammad is COO / Director of Select Sands Corp (V.SNS). Robert D. (Rob) Luffman, a Canadian CPA, CMA (certified management accountant), has close to 30 years of financial experience in a variety of businesses and charitable endeavors. Rob currently serves as the Chief Financial Officer of Gracetree Investments, LLC, a family office in Bristol, Tennessee. Gracetree has numerous successful investments in the pharmaceutical industry, real estate, information technology, and other private businesses. Rob began his career as an accountant at the United Co-operatives of Ontario and served for 13 years as a Division Controller of what is now AGC Glass North America, a Japanese-owned international automotive, residential and commercial glass manufacturer. Rob is serving or has served on a number of corporate and charitable boards. Arnold Tenney is the past Chairman of Select Sands Corp. and has been the Chairman and a director of the Tribute Pharmaceuticals (TSXV: TRX; OTCQX: TBUFF) from 2004 to 2016 when it was acquired by Pozen Inc. He was a financial consultant at Devine Entertainment Corporation (“Devine”), a children and family film production and development company from 2002 to 2011. Prior to his position at Devine, Mr. Tenney was Chief Executive Officer of ARC International Corporation from 1978 to 2000. ARC International Corporation was a developer of indoor ice arenas and tennis clubs, as well as an investment company involved in entertainment and cable television. He was a director and Chairman of the Board of Cabletel Communications from 1985 to 2000, which was a leading supplier of broadband equipment to the cable television industry. Mr. Tenney was a director of Ballantyne of Omaha, Inc. from 1988 to 2000 and served as Chairman of the Board from 1992 to 2000. Ballantyne of Omaha, Inc. was a leading manufacturer of commercial motion picture projection equipment. He also served as a director for Phillip Services Inc., a Canadian metal recycling company, from 1998 to 2000 and served in such capacity as a representative of Mr. Carl Icahn. Jerry is an exploration consultant based in Vancouver. He graduated from the University of Western Ontario in 1974 and has been employed in exploration since. Jerry is known for his involvement in early-stage projects exploring for gold, base metals, and uranium and has led or been part of teams that have identified and delineated discoveries in Canada and Peru. He has been an officer and director of numerous junior resource companies over the years. He continues as a technical advisor to groups exploring in South America, Mexico, and Africa as well as the in the US and Canada. Shawn Ryan grew up in Timmins, Ontario and began his career in exploration in the early 80’s working with Kidd Creek Mine’s geophysics team. It is here that he began to understand the science of geochemistry and exploration techniques. He moved to the Yukon in ’91 and until 1996 harvested wild gourmet mushrooms with his wife and business partner Cathy Wood. As a self-taught prospector, Ryan saw an opportunity with science to research the Yukon for its mineral potential. Through his advanced soil-sampling techniques, Ryan made his first discovery with the White Gold project optioned by Underworld Resources in 2007 and acquired by Kinross Gold Corp in 2010. He is also responsible for the discovery of gold at the Coffee project, which he optioned to Kaminak Gold Corp.
With these discoveries, Ryan began the largest staking rush the Yukon has seen in 100 years. With approximately 35,000 claims to his name, he continues his hunt for the next mineral deposit in the Yukon. He has been honored with the Yukon Chamber of Mines Prospector of the Year in 1998, the 2010 Prospector of the Year by the BC/Yukon Chamber of Mines, and the PDAC Bill Dennis award in 2011 for prospecting success with a Canadian discovery. Dr. K. Sethu Raman is a proven mine finder and a successful entrepreneur with more than 46 years of international experience in all phases of exploration, mine development, acquisitions and operations as well as experience in financial and legal areas. He has pioneered many new exploration concepts and strategies which have led to the discovery of eleven significant gold, silver, copper, zinc, phosphate and uranium deposits located near established mining camps, seven of which went on to become producing gold mines in Canada. *Disclaimer: The profile provides information which was sourced and approved by Comstock Metals in order to help investors learn more about the company. Comstock Metals is a client of the Investing News Network (INN). The company’s campaign fees pay for INN to create and update this profile page, to which links are placed on Investingnews.com and channel newsletters.